The Hydmaster is the most powerful HVAC electrical brushing machine designed for demanding cleaning practices within industrial sized buildings such as factories, power plants, and mills. The Lifa Hydmaster performs the most strenuous tasks using hydraulic power. The Hydmaster brush speeds past the competition with a rotating speed of 0-800 r/min. It operates on monophase voltage, which means the Hydmaster is quieter than other pneumatic cleaning machines. The Lifa Hydmaster cleans 75 meters of duct when extended in both directions from one access hatch and its oversize brushes can rotate in narrow ducts. 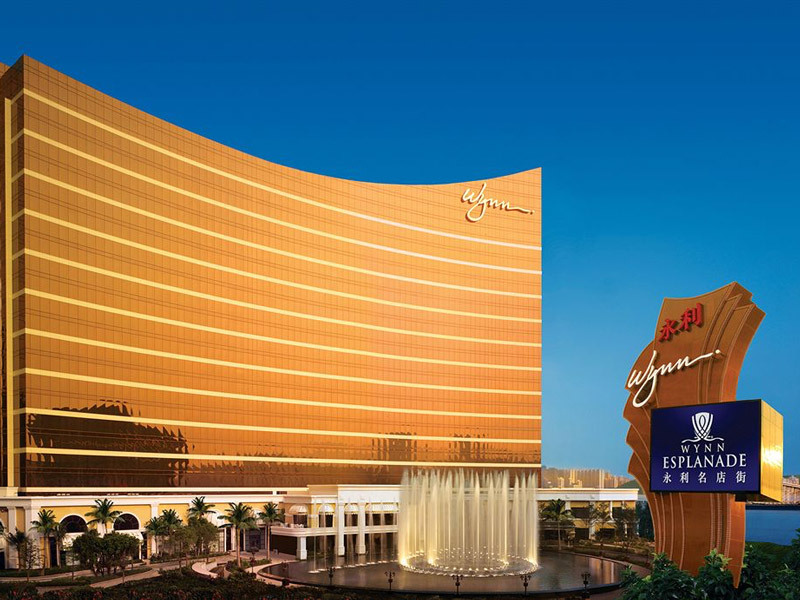 The machine uses environmentally friendly, synthetic and biodegradable oil. The hydraulic tubes have a laminated, durable nylon fiber interior making the Hydmaster the most durable brushing machine on the market. The Lifa Hydmaster is a versatile brush-cleaning machine with a hydraulic drive for demanding industrial and commercial cleaning applications that need exceptional force. Hydmaster’s special features are the built-in camera and the hydraulic propulsion power produced by normal single phase electricity. The force that rotates the brush is produced hydraulically along the flexible shaft. The built-in hydraulic pump provides an alternative to large, expensive, noisy, and non-user friendly pneumatic cleaning machines that use compressors. The Hydmaster operates on single phase voltage (110V or 230V) and is distinctly quieter than air-jetting machines using compressed air. This makes the Hydmaster extremely easy to carry and use. The Hydmaster model that comes with a video camera monitors the effects and results of the cleaning that is being performed. The monitor also offers the ability to see any potential obstacles that may prove to be a nuisance. The video camera also monitors silencers and sound attenuators, which are used for noise control. In addition, the camera can also monitor automatic and manual air volume, as well as, other control apparatus of the ventilation system. Using the video camera monitor enables you to avoid unexpected problems and can save you from a lot of frustrating headaches. 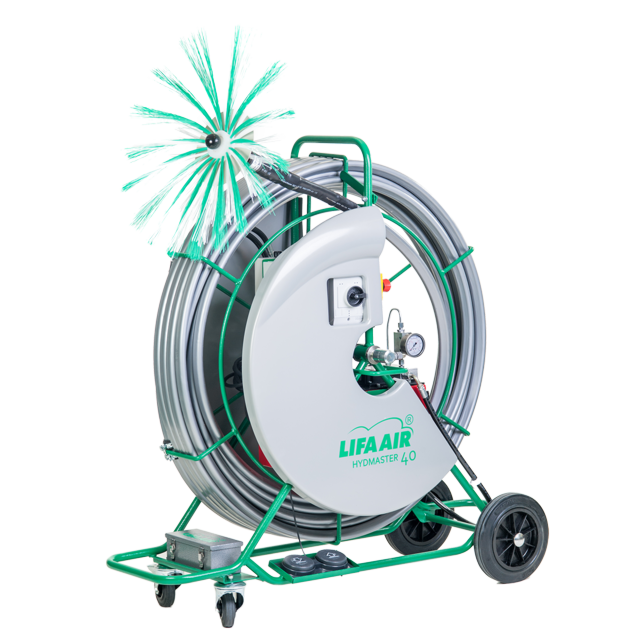 The Lifa Hydmaster is designed for both rectangular and round ventilation ducts ranging from 200-1200mm (8-52 inches). The rotating speed is adjustable from 0 to 800 r/min. When set to maximum, Lifa Hydmaster’s torque, otherwise known as brushing force, is more powerful than that of any other cleaning machine. The machine can then rotate its oversized brush in narrow and smaller size ducts. You won’t have to change brushes as often with the Hydmaster, as you do with other machines. It also has and can be used, with Lifa’s specific written approval, for many other purposes (e.g. cleaning of accumulated dirt and sediment from different process pipes). The Hydmaster is Lifa’s flagship product and is protected by a patent. Lifa Y-Gear (accessory) gives an extra cleaning force for the corners in rectangular ducts. Frame and reel: Zinc electroplated steel tube. Cover ABS plastic.